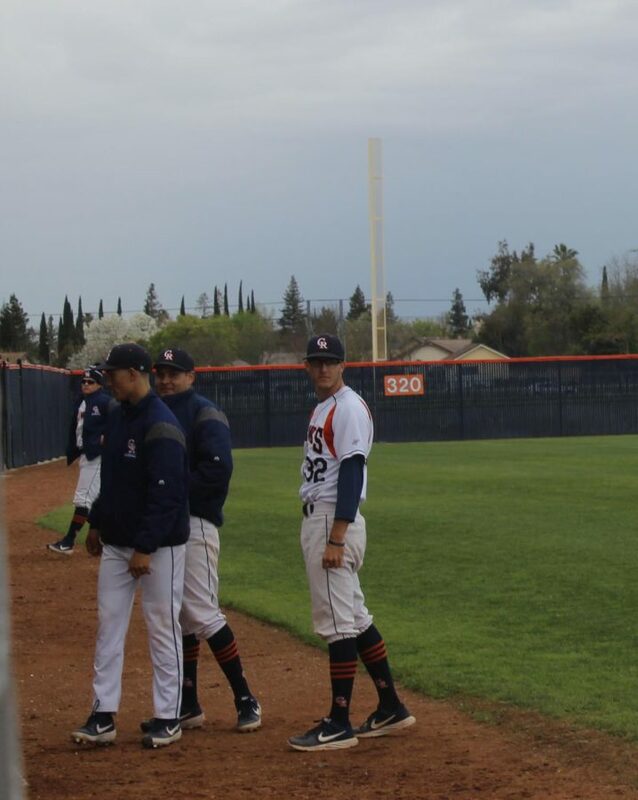 Sophomore pitcher Josh Caldwell looks towards The Diablo Valley Vikings dugout before his start on Thursday. 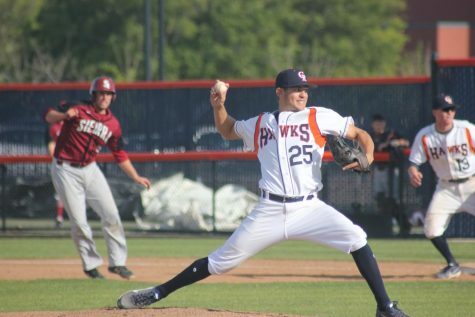 Caldwell pitched six innings allowing two earned runs on four hits, earning the win for the Hawks. As the cold set in with the players, starting pitcher, sophomore Josh Caldwell took the mound and induced three ground outs from the opposing team in the first inning. 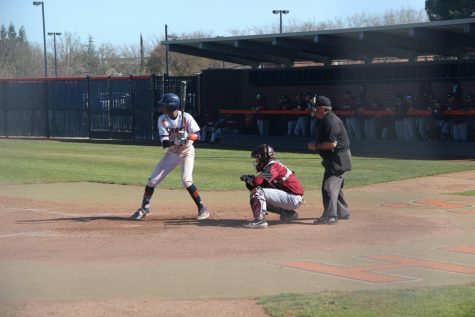 The Hawks served The Diablo Valley Vikings a hard loss when they took the first game of a three game series with the Vikings 7-3. 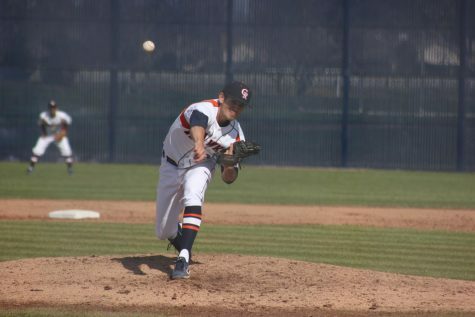 Caldwell got the start on the mound pitching six innings and giving up two earned runs on four hits with two walks and six strikeouts. 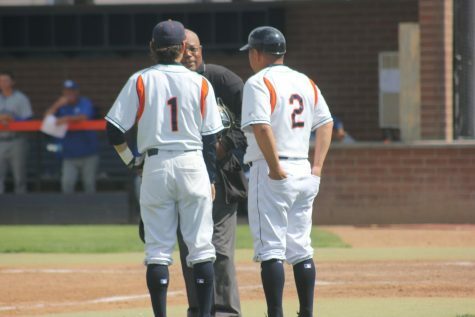 “We put some good swings together and had some good at bats and scored some runs,” said Head Coach Don Mico. 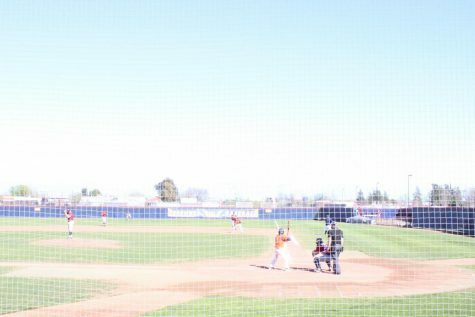 The Vikings turned the game around in their favor in the second inning when they scored two runs, securing the lead early. 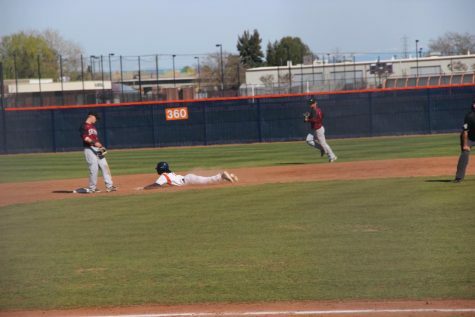 “We started out dead, and we finally picked it up as a team and we started scoring runs and being more productive,” said sophomore Jeremy Kolb. 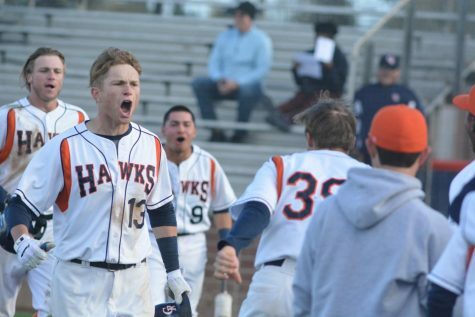 The fifth inning also saw some action from the Hawks when sophomore outfielder Burle Dixon doubled, followed by freshman Brett Graber who got to first on an error, allowing Dixon to advance to third. 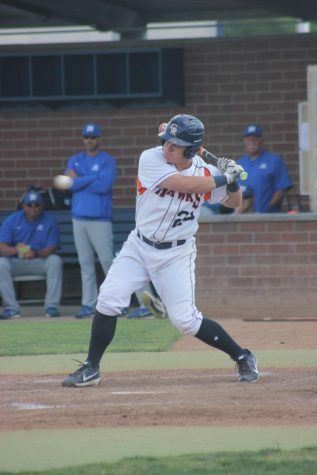 Sophomore Dean Lucas doubled into the gap in right center, scoring Dixon and moving Graber to third..
After the fifth inning, the game stayed locked at 7-2, both teams throwing zeroes on the scoreboard. “We just needed better AB’s, we did what we needed to do and made adjustments,” said Lucas. 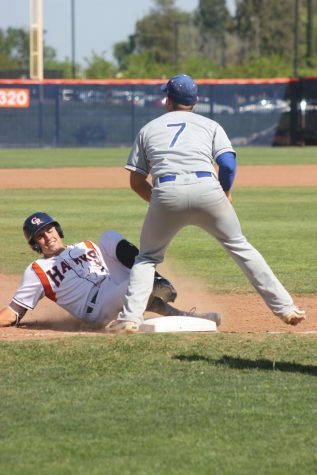 The Vikings made a comeback in the eighth inning when they scored a run, but couldn’t get the lead.